Email fatigue is real. Inboxes are getting bombarded by the hour with more companies mastering marketing automation. Your email marketing strategies must constantly evolve to adapt to how your targeted audience manages their inbox, as well as the type of content they digest. How do you get your email to stand out and, ultimately, be the one they look forward to opening vs. mass deleting with 50 other emails? Here are four elements to factor in before you hit send on your next email marketing campaign or newsletter nurture. You gotta get them opened! If the gut reaction to reading your subject line is, “No, thank you. please.” Your message is dead in the water. Make it relevant. Don’t be misleading by doing something just to get them to open your email. You’ll lose credibility and trust – and no company can afford to lose that. Keep your subject lines short, in part because 54% of emails are opened on mobile devices, which can only fit 4-7 words. Personalize the subject line or add an emoji, but be sure you stay true to your brand. People process visual content first. “My eyes went straight to the first line of copy,” said no one ever. The image captures their attention and draws them in. Find images, icons, gifs or make videos to help tell your story and share your value. Make certain the visuals align and support your message. If it’s just some cute cat gif that has nothing to do with your brand, message or product, you will reduce your credibility. According to 3M, the company behind Post-it Notes, visuals are processed 60,000 times faster than text. So if your audience has a limited attention span, visuals can tell your story in seconds vs. minutes. And if you think your audience is paying attention once they open your email, think again. WebDAM says the average person can get distracted in eight seconds. Emails with images receive 650% higher engagement than a text-only. Connect with the human element. Humans buy from humans they like and trust – and brands they like and trust. It’s H2H. Throw out the B2B and B2C mentality and focus on being human to human. No matter if you are selling a service, a product or an experience, it must connect with them personally. Make it about them. If your email leads with the word “we” or your company name, hit the backspace button. No one wants to hear about you. Focus on what they will get out it – why they should keep reading. One email tactic I’ve seen over and over and you need to avoid is opening with, “Did you get my last email?” If they don’t remember, this just reminds them the first email wasn’t good enough to get their attention. It oozes “spammy” in seconds and sends me to the delete button. Videos. Tell your message instead of writing it. Marketing videos can be costly but start with a simple, quick message from your in-house subject matter experts. Starring in a video is intimidating. However, engagement increases when companies use videos featuring people who represent the company or brand. According to American Marketing Association, video content will be the driving factor behind 85% of search traffic in the U.S. by 2019. Send/Reply Email. Who is your email from? And is the reply email to the same email or a general email such as, “info@yourcompany.com.” In some cases, it might make sense to use a general email, but having your emails come from an individual gives it a human element. If a prospect or client does reply, you need to be ready to respond. So ensure you are monitoring the email address used. Optimizing your email design for mobile isn’t an option, it’s an expectation. Insist on responsive email templates to help users get one step closer to engaging with your product or service. Even if you think your audience is reading emails on a work laptop or desktop, you are creating an unnecessary stumbling block for your readers who check email on the go. According to Bluehornet, emails not responsive for mobile get deleted by 80% of users. Three out of 10 will unsubscribe if your email isn’t optimized. The first link in a responsive email template on mobile has a 30% higher click rate than non-responsive, reports Litmus and MailChimp. Here’s my pro-tip for you to A/B test. If your email is coming from an individual, try a plain-text format vs. branded. For some industries, this is proving to increase open rates and engagement. It’s not only easy to read on mobile, it gives your email a more “human” 1:1 feel. Email fatigue is a real issue for companies to overcome. If you are seeing a dip in open and click-through rates, try rethinking your current strategy and mixing in some of the elements I’ve touched on. Want advice on your next email? I’d love to help. 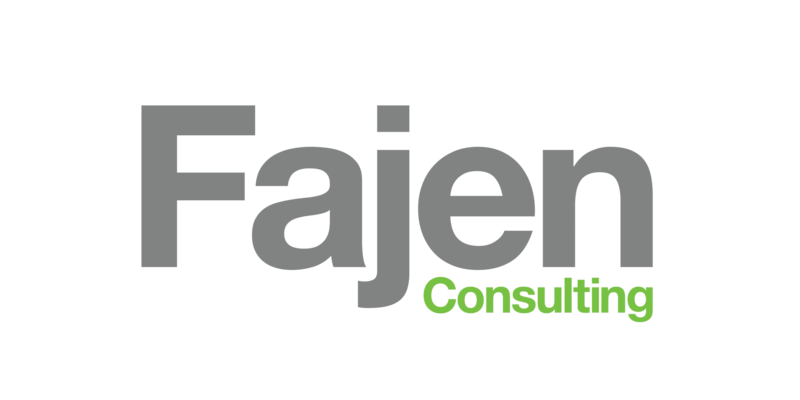 Feel free to connect with me on LinkedIn or email me at micholyn@fajenconsulting.com.